While all the news about self-publishing and indie publishing makes it out to be some new wave-of-the-future option for authors, self-publishing really isn’t a new concept. Sure, the stigma has been mostly torn away in recent years, but even decades ago an author with a completed manuscript and a healthy checkbook could get published. 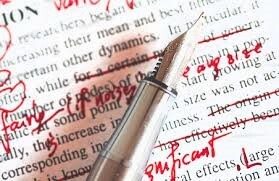 Here was the problem: notice that I didn’t say a “good “completed manuscript. It just had to be finished. And even that was not a deal breaker. Vanity presses opened their doors many years ago to cater to authors who could not get published otherwise. Their business model consisted of taking your money, turning your typewritten pages into a print edition, then charging you outrageous amounts of money for copies of your own book, which YOU were now responsible for shipping, storing, selling, marketing, more shipping, more storing, and ultimately giving away to all of your friends and family members for Christmas. Now that self-publishing and print-on-demand publishing have come along, guess what? Those vanity presses didn’t go anywhere. They’re still sitting there, taking authors’ money and often giving them a box of poorly edited doorstops in return. Of course there are. And I don’t want to sound for even a second like there’s not a reputable non-thief, non-charlatan vanity press out there. I’m sure there are a handful. 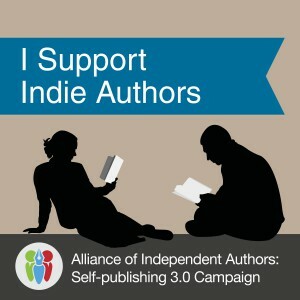 And those companies actually do serve a purpose, as their model is to support authors who don’t have the knowledge or know-how—or heck, even the time—to format and publish their books on any of the awesome print-on-demand platforms out there. Who else has used this company? Ask for a list of names of authors and books, and check out those books online. Read reviews of those books. Are there awful comments about the horrible formatting or the lack of editing? DEMAND that the vanity press NOT list itself as your “publisher,” and here’s why. They are not fooling anyone in the industry into believing that your book was picked up by a publishing house, AND they have total access and control to your sales page. YOU will not be the person given access to your sales report and you will instead rely on your “publisher” to tell you how many copies you sold. NEVER work with a company who is going to charge you thousands of dollars up front for their services AND take a percentage of your royalties. They already got paid! YOU paid them! WHY are they also taking your royalties? Check out how much YOUR copies of YOUR book will cost you. Believe it or not, there is sometimes a barely-better-than-retail cost to the author of the book. It’s understandable that the company would make a profit on the printing of your book; they have bills to pay, too, after all. But it is inexcusable that an author pay sometimes only $2 less than a reader would pay for a copy of the book. Find out BEFORE you sign WHO is going to work on your book. 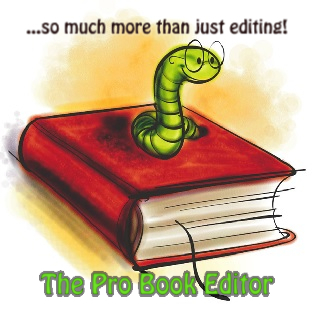 It’s easier than ever for someone to hang out a shingle and call himself a publisher, all while telling you that his “team of professionals” will work on your book. That could mean that he has his mom edit it and his cousin draw a picture for the cover. Ask for names of these professionals in advance and check them out online. READ YOUR CONTRACT. That had to be said twice. If you don’t know what it states, how do you know if the vanity press broke it? Did you get everything you paid for? Were you LIED TO and told that he owns the rights to your book? Or did you really and truly just sign away the rights to your book? READ and know it before you sign. Upfront service providers should exist to help authors with the creation of their actual books, but they aren’t supposed to be allowed to stay in business if they’re just out for a quick buck. Look them up before you sign anything, and watch out for yourself.